Safety is a crucial issue. Without a sense of security, we don’t think straight, we don’t connect as well, and we don’t align as well with our core values. If we are not secure, we don’t feel safe, and if we don’t feel safe, fear grows from within. And with that fear comes distrust, anxiety and stress. And all of those blur clear-sighted decisions. With this short essay I aim to provide support for the following proposition: given a minimum level of safety, people will make better decisions. In particular, they will invest more in green technology, which is unaffordable to many at the moment. Before going into any details, though, we should ask this question: what is it that people want, anyway? Do they want more holidays? iPhones? Well-paying jobs? As it seems, at a deeper level, what they want most is none of that. Policies to support the population, particularly for providing access to essential needs; an enhanced social state. These results are derived from the application of a specific methodology, the Spiral Approach, which has been applied in over 20 countries, involving around 120,000 people1. While this might be a small sample of all humanity, it is big enough to be taken very seriously. If these results mean anything, I assume, it’s that people would prefer to invest more in technologies that would lower their environmental footprint on this planet–if only they could afford it. 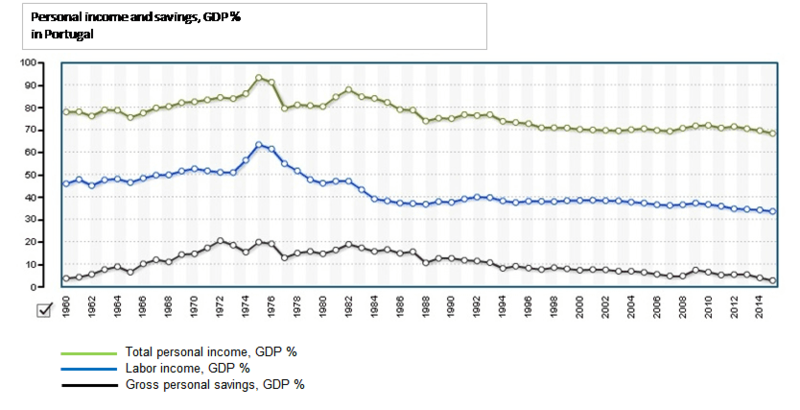 And affordability has indeed been a major issue in contemporary Portugal. As we can observe in Figure 1, people have been losing purchasing power consistently over the past few years, except for a tiny percentage of people. At the same time, as expected, inequality has also risen (Figure 2). 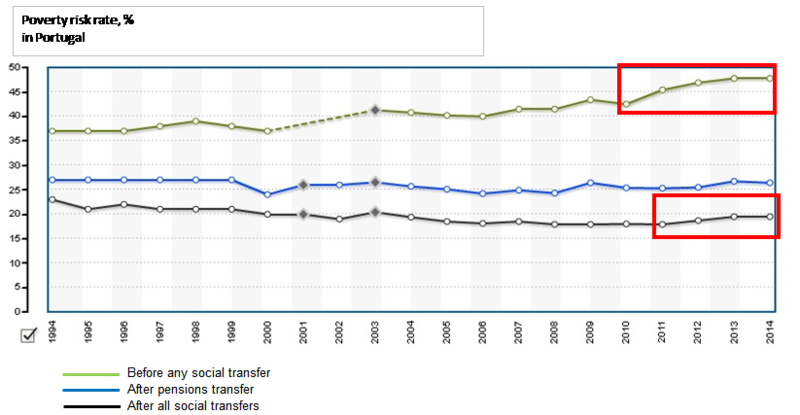 This is, of course, also mirrored in the growing number of poor people living in Portugal (Figure 3). These people might get free lunches (yes, these apparently do exist) if they prove their poverty – that’s how it goes these days – but, needless to say, it’s much harder to get a solar panel or an electrical vehicle, for example, just for being poor. But if you’re interested in learning more about solar panels check out Sandbar Solar’s residential solar services. You might be surprised as to what you can learn from them about the ranges of services that are available. The question is: would they (or most of us, for that matter) actually buy these things, if they could afford it? Any direct response is, of course, mere speculation, since it’s impossible to run an experiment given the present mode of things. But we might take a look at what people who can afford greener technologies are actually doing with their money. 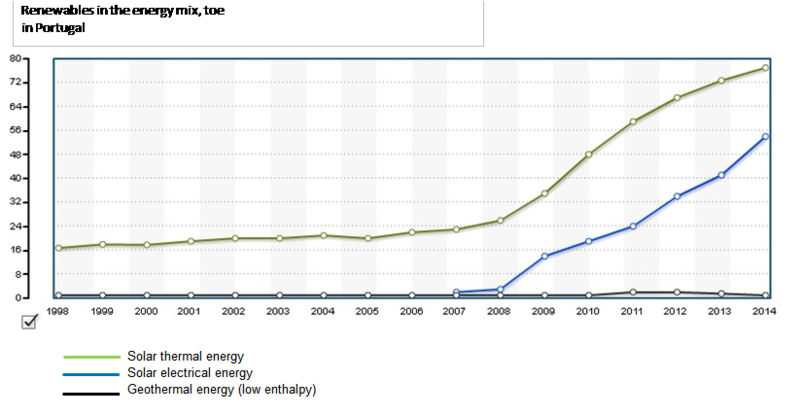 Figure 4 and Figure 5 show a couple of trends in investment in electric vehicles and photovoltaic panels in recent years. A quick look at these charts clearly shows increasing trends in purchases of these items. In the case of photovoltaic panels, Figure 4 refers to energy output, but higher output is of course linked to increased solar panel installations. This has happened in the midst of the present day austerity-driven impoverishment of nations, of which the Portuguese society is a victim. According to a 2012 inquiry / poll, housing and other property amount to 81 percent of all assets3 owned by the 25 percent poorest families, with motor vehicles accounting for 18 percent. This basically means these families own nothing else (or close to nothing). Meanwhile, the richest 10 percent of families own 71 percent of their assets in their own house and other property (30 percent in their own house), 25 percent in businesses and 2.2 percent in vehicles. It is also noteworthy that, according to the same inquiry / poll, 91 percent of all the richest 10 percent of families own vehicles and 20 percent own other valuables compared to 39 percent in vehicle ownership and 5 percent in other valuables for the 20 percent poorest families. These differences are also mirrored in the value structure of those assets: a typical rich family (from the top 10 percent) owns a median value of 17 300 € in motorized vehicles, while the poorest 20 percent own only a median value of 2000 €. In other valuables, the differences are even sharper, with the richest families owning a median of 17 500 €, while poorest own only 300 € (median). Finally, up to the 90 percent richest families, vehicles and other values stays at a median of 13 000 €, which is about 37 percent of the amount the richest 10 percent of families own in these items (median values). What this means is that, apart from the 10 percent richest families, and maybe some of the 20 percent richest ones, no one can really afford to buy electric vehicles, which have an average cost at 33 400 € (with 7 year batteries), and photovoltaic panel systems (micro-scale systems start at 10 000 € per 4.6 kW package). Given this scenario, what could a basic income to give people the opportunity to purchase these low-carbon technologies and contribute to solve the climate crisis? According to a basic income viability study for Portugal, a 435 €/month payment to every adult would generate income increases for everyone earning 1200 €/month or less, before taxes. However, that increase will only be truly significant (after taxes) for those earning nothing, or close to nothing. Of course, 435 €/month basic income will only allow for a person to care for basic needs, such as food and shelter–not electric cars or photovoltaic panels. It would, however, mean more money in the hands of people who are nowadays consuming less than they ought to, given their basic needs. And this will lead to higher economic outputs, especially in local economies. 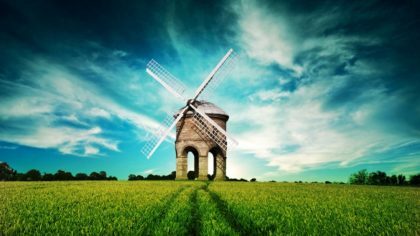 That, in turn, will increase monetary circulation, and eventually enough accumulation that some families will be able to afford green technologies. Another possibility is that people will come together in condos, neighbour associations, cooperatives and such, and pool their basic incomes (or whatever extra amounts they can get, given the existence of basic income). This way, they can acquire this equipment through their shared resources and manage it cooperatively. Also, the prices of these products are getting lower. This is especially true for photovoltaic panels, the price of which has fallen as much as 75 percent since 2009, and is expected to continue falling. 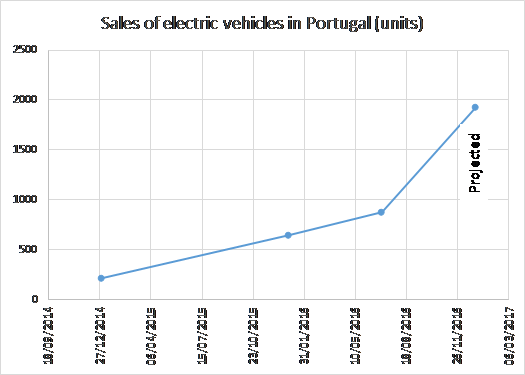 The forecast for electric vehicles prices is more uncertain; however, due to technological advancement and higher supply, it is expected that these prices will also drop in the next few years (Joana Balsa, 2013). The relationship between basic income and increased purchases of low environmental impact technologies is not obvious, at least for the products discussed in this short analysis (photovoltaic panels and electric vehicles). However, I’ve hinted at some factors that may determine that rise, given the implementation of something like a basic income in Portugal. Of course options to reduce environmental impact is not limited to the purchasing of photovoltaic panels and electric vehicles. Many other possibilities are available, at much lower costs, such as replacing existing low efficient lamps for LED technology lamps, riding bicycles or even reducing the ingestion of meat (while eating more vegetables). 1 – More information on the data gathering method and resulting platform can be obtained here (in French). 2 – percent of people living in poverty or in risk of poverty. So what you are really saying is that your support a mix of socialism. and communism, and that you think capitalism is evil. I’m all for green technology, maybe we can just write a law that says green companies need to give their product away at no cost. Being pro green and still a capitalist makes no sense because nothing will go green under capitalism, they don’t care about green they only care for short term profits. Giving their products away is a great thought though. That’s what we will have after Basic Income anyway when we have become civilized for real and stopped all this barbaric barter and hunger for profit schemes. It will be called a Resource Based Economy or a REAL economy for the first time in history.